Tourism is now the star of the economic growth in Bali. Bali is becoming increasingly crowded by tourists. Despite the impact of tourism is good for the economy of Bali residents, but there are negative impacts faced by Bali overall. The positive and negative impacts of tourism in Bali greatly affect life. The positive impact of tourism for Bali. Tourism provides an enormous positive impact on the residents of Bali. Tourism also contributed greatly to the development and economy in Bali. As tourism, Bali became one of the provinces in Indonesia with a very high standard of living, the number of poor people who are low, and unemployment is very little. With the tourism, many investors flock to Bali. They build a hotel and entertainment venues. Investors who have the money to build a recreation center and a vehicle that is able to attract tourists coming to Bali. Restaurants, villas, large and luxurious resort, malls, and other entertainment facilities. With the presence of all tourist accommodation in Bali, as well as all the facilities to support the tourism industry. Then Bali has a lot of jobs. Increasing employment, providing an opportunity for residents of Bali to work and earn money. That is why Bali is the province with the lowest unemployment rate in Indonesia. Jobs are very large and continues to grow, providing a great opportunity for residents of Bali to get a job. In addition, government revenue from tax revenues are increasing. Pirate of the tourism sector provides a huge income to the government in Bali. Large tax provides a great opportunity for the government to build supporting infrastructure economics. Tax is also a major revenue the government. Another positive impact of the tourism industry in Bali is an opportunity for the preservation of the existing art in Bali. Performers get a great opportunity to earn money. 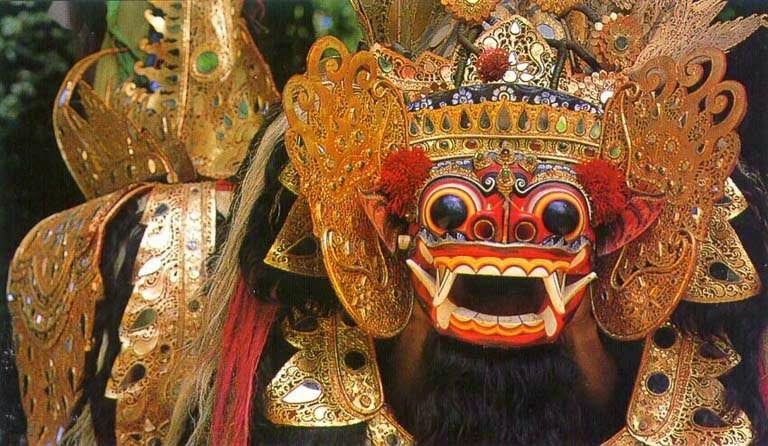 Art that flourished in Bali to be part of tourism. Dance, painting, music, and other arts had the opportunity to perform in any tourist event in the government and private title. With tourism, the arts will survive. The negative impact of tourism for Bali. In addition to the positive impact, tourism is also a negative impact on Bali. Even the perceived negative impact of Bali, is greater than the positive impact. That feels is the island increasingly crowded by people who visit Bali. Not only that, the island is getting crowded by large buildings. More hotels, villas damaging rice fields, restaurants and discotheques produce waste. Mall that more and more, thus shifting the traditional market. The negative impact of tourism is the most visible changes in lifestyle of Balinese people. Balinese people increasingly materialistic, because money is a top priority in life. Social life of the Balinese people are very well known, and are now increasingly chaotic individualism. Money is central to their daily lives. The negative impact of tourism industry in the rice fields of Bali others are diminishing. Many rice fields were sold for the benefit of foreign investors who want to build luxury resorts and villas. Not only that, malls and shopping complex has been built on a wetland. Subak organizations increasingly threatened. Irrigation channels closed by buildings and roads. So the rice fields droughts and converted into residential and shopping complex. Growing tourism industry in Bali also have an impact on the increasing number of criminal acts and drug business. Not only that, which is identical to prostitution also developing tourism in Bali. Prostitution is very very rampant in Bali. Even in some locations has become a center of prostitution. Kuta is known as a center of nightlife in Bali. Kuta grew and developed into a center of entertainment in Bali. Not only that, Kuta also became the center of drug trafficking and prostitution. Even the motorcycle taxi drivers become drug dealers, taxi drivers become pimps, surfers become a gigolo. The negative impact of tourism continues to grow and thrive in Bali.